Duplex multimode Fiber optic cable (50/125 OM3) Perfect for high speed data transfer up to 10GB with minimum signal loss Integrated LC/LC-connectors for an easy and reliable connection Type: Duplex Multimode Fiber: 50/125 (OM3) Connectors: LC to LC Cable length: 10 m Net weight: 34 g Insertion loss: 0.3 dB Return loss: >30 dB Insert–pull test (1000 times) 0.3 dB Interchange 0.2 dB Operation temperature -40? ~ +80? 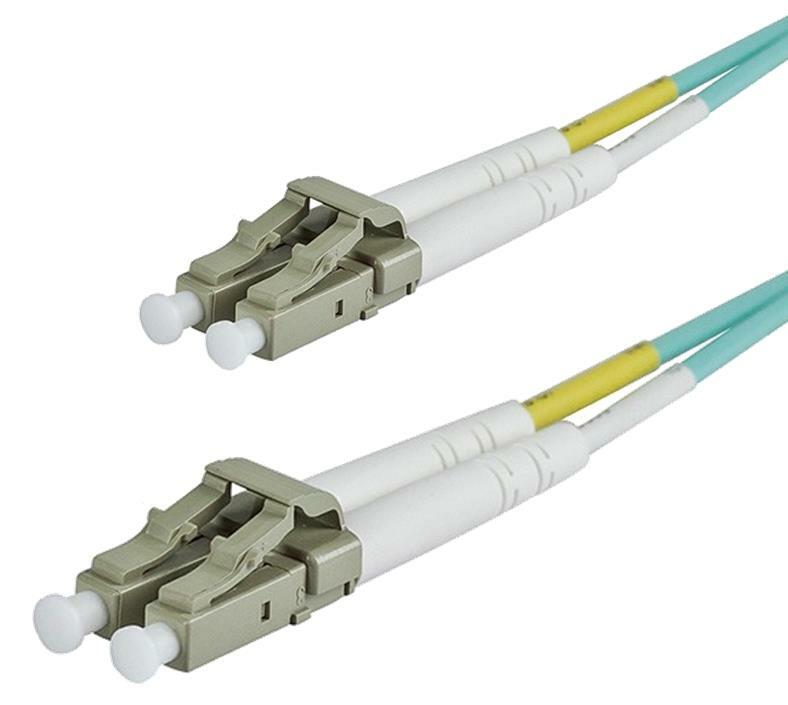 LC connectors have replaced SC connectors in corporate networking environments due to their smaller size; they are often found on small form-factor pluggable transceivers.